Whether you’re a small business, sole proprietor, or freelancer, getting paid on time is of the utmost importance to keep your cash flow healthy. Having an invoicing system and process in place keeps your accounts organized and helps you get paid faster. If you’re new to invoicing or looking to refresh your invoicing system, the first place to start is with the invoice itself. The invoice document is the most critical document in the process. Depending on the kind of business you run, the invoice needs to contain key pieces of data that help you keep records of your projects, deadlines, cash in, and cash out. To make sure that your invoices contain the right information and look professional (and to save time), you should use a free invoice template or online invoicing software like Square Invoices. 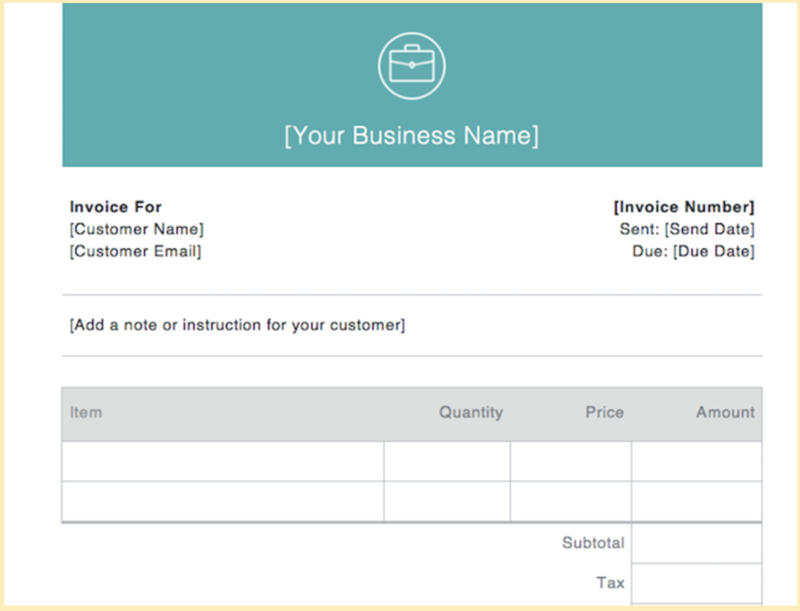 We’ve put together examples and tips for creating a number of different invoice types so you can customize those templates to work for your business. If you have a wholesale business — for example, if you create beauty products that you sell to retail stores — an invoice catered to your business is important to keep track of your large transactions. Wholesale invoices should include the regular price of your products, the wholesale discount, and finally, the wholesale price your customer is being charged. A recent survey found that discounts and offers were cited as a top reason for brand loyalty, so showing the discount in your invoice is actually an effective marketing tactic. A lump sum invoice is used when you’re offering one rate for a number of products or services. Lump sum invoices are ideal for class packs at a yoga/fitness studio or flat rate projects. If you are offering pack deals for a large sum, make sure you clearly describe the package or lump sum in the itemized section. Also, be aware that many lump sum invoices have tax included, so there’s no need to add additional tax (as pictured here).